Job Seekers, Are You Looking For A Job In Public Accounting? Jeff Smith & Associates, Inc. is not your typical recruiting firm. We come from the industries we support, developing products and processes, hiring talented technical and business people, and selling systems. Our clients include the major players in these industries as well as mid-sized to small start-ups. We do not waste your time or our clients’ time by presenting candidates who don’t fit their specific needs. Everything we do is totally confidential. All conversations between us and a candidate stay with us. You can be assured that your current employment will never be compromised. So whether you are in an active job search mode today, or contemplating a change sometime in the future, talk to us. Send us your resume. We are happy to discuss your current situation and how we might be of assistance to you, today, or in the future. 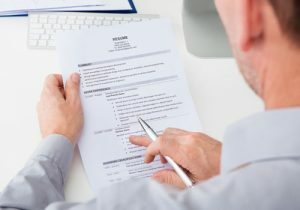 Need help preparing a quality resume for your job search? Download the documents in “Resources & Tips” above. We are always happy to review your resume with you and offer suggestions on how you might better present your skills, experience and accomplishments to prospective employers. Having difficulty getting beyond that initial telephone or face-to-face interview? Check out our Interview Preparation Tips in the “Resources & Tips” section of our site. You will find this information rather basic, but we have found that most who review these usually find one or two things that help them better prepare for their interview.